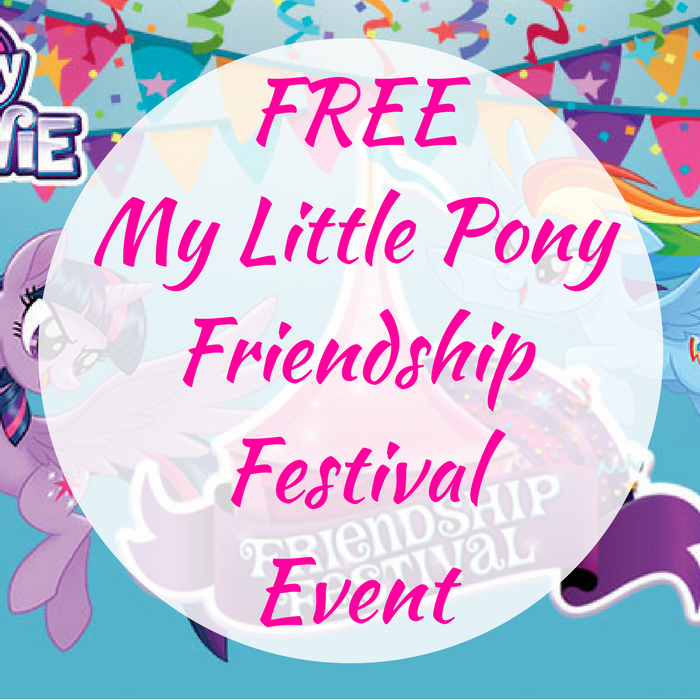 FREE My Little Pony Friendship Festival Event! You are here: Home / FREEbies / FREE My Little Pony Friendship Festival Event! On October 14, from 1pm-3pm only! Toys R Us is hosting a FREE My Little Pony Friendship Festival Event where children can make and take home a Friendship Festival Banner! They can also color an activity sheet and bring home other awesome FREEbies like tattoos and posters! This is gonna be fund and I’m sure your children wouldn’t want to miss it!